I am very happy to pass on this study from The Lancet which adds to positive results from exercise. Regular readers know the mantra here is eat less; move more; live longer. This study fully confirms the move more part. Previous research into the effect of exercise on mental health has conflicting results. While some evidence suggests that exercise may improve mental health, the relationship could go both ways – for example inactivity could be a symptom of and contributor to poor mental health, and being active could be a sign of or contribute to resilience. The authors note that their study cannot confirm cause and effect. I am a big supporter of Positivity. You can check out my Page, which includes a super graphic video, Positive psychology – What’s it all about? The following study was written up by Anne Trafton of the MIT News office. As regular readers know, I am a dog lover . I have posted about my poodle, Gabi, a number of times. She accompanies me on about 5000 miles of bikes rides every year. So, I was very pleased to run across this item by Honor Whiteman on Medical News Today. On arriving home after a long, stressful day at work, you are greeted at the door by an overexcited four-legged friend. It can’t fail to put a smile on your face. Pet ownership is undoubtedly one of the greatest pleasures in life, providing companionship and giggles galore. But the benefits do not end there; your pet could be doing wonders for your health and well-being. My intrepid little partner, Gabi, in her basket wearing her hat ready to ride. The United States is a nation of animal lovers; more than 65 percent of households own a pet, with dogs and cats being the most popular choice. It is no surprise that so many of us have a pet in our lives; not only are animals fantastic company, but they also teach us compassion and offer unconditional love. Adding to pets’ indisputable charm is the wealth of benefits they offer for human health and well-being. We take a closer look at what these are. Around 50 million people in the U.S. have nasal allergies, and pet dander is one of the most common triggers.With this in mind, it may come as a surprise that pets could actually lower the risk of developing allergies. One study reported by Medical News Today in 2015 associated exposure to dogs and farm animals in early life with a lower risk of asthma development by school age. Regular readers know that I have stressed the importance of exercise for the brain. So, it seems a logical corollary that food also affects the brain as well as the body. We pretty much all agree that good nutritional habits are vital to good physical health, yes? But what about mental health? Do good nutritional habits translate to a healthier mental state? On the surface, it would make sense. After all, the food that we eat contains nutrients – and these nutrients are transported throughout our entire body via our bloodstream. We already know that the brain requires nutrients to operate effectively…so, yeah, it makes sense. But is eating right more important to mental health than prescription medicine? For more on how good sleep is for the body, check out – How important is a good night’s sleep? What is the Value of Hugging? What is the value of hugging? Oh yes, it feels nice and likely makes the other person feel nice, too, but are there real tangible benefits to hugging? Or, is that all there is. 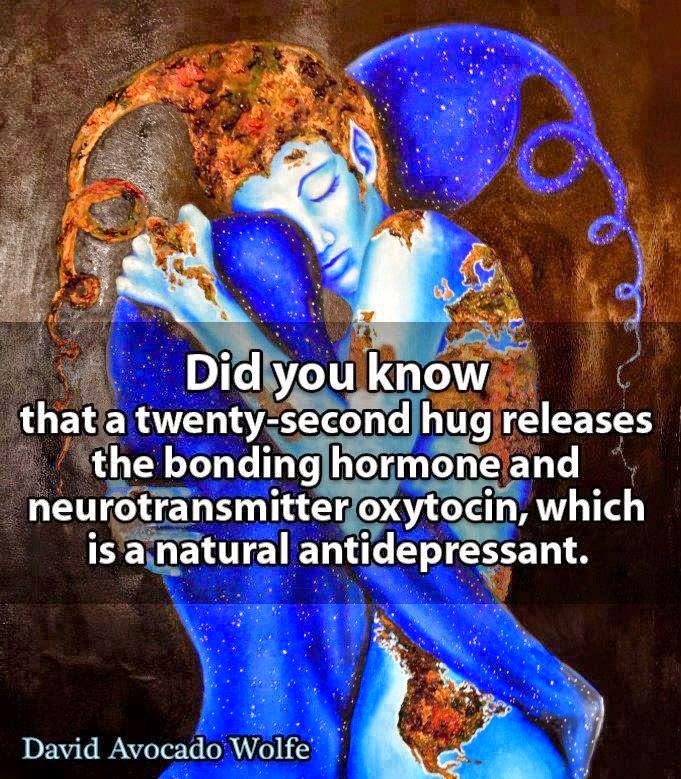 Turns out that there are real measurable benefits from hugging. Scientists have isolated a hormone, a healthy neuropeptide – oxytocin – that is released into the blood stream when you hold a friend close. As a result your blood pressure goes down as well as stress and anxiety. The skin is the largest organ of the body and as such is loaded with nerve sensors of light touch, heavy touch, p ressure, heat, cold, pain, etc. Just the act of being touched increases production of a specific hormone within the brain, Nerve Growth Factor (NGF) which activates greater nervous system and nerve net development. That is just from touch. Hugging is the next level up. Research from the University of Vienna points out that you need to be selective about who you are hugging. A polite squeeze to someone socially that you aren’t close to can have the opposite effect. Partners in functional relationships have been found to have increased oxytocin levels. The hormone promotes bonding, social behavior and closeness between family members and couples. Dr. Kathleen C. Light, a professor at the University of North Carolina Department of Psychiatry, studies oxytocin in married couples and those permanently living together. She has found an increase in the hormone over time in close couples. The National Institute of Health’s News in Health publication reported that “Oxytocin makes us feel good when we’re close to family and other loved ones, including pets. It does this by acting through what scientists call the dopamine reward system. Dopamine is a brain chemical that plays a crucial part in how we perceive pleasure…. I love the simplicity of this. Truly the best things in life are free. When I bought my apartment, one of the major selling points was the fact that it overlooks Lake Michigan. My east view gives me sunrises every morning. Truly food for the soul. To read further on positivity, check out PHow to harness positive psychology for you – Harvard. For more on number three – stress, check out Super tools for handling stress. Which of these uncomplicated activities to you do most days? Do these most days and it will help protect your mental health. Positive memories could be used as a way to help boost mental well-being, new research finds. People in the study were asked to focus on positive social memories. Participants focused on their own positive feelings from that memory as well as on the positive feelings of the other person. The results showed that people felt socially safer and more positive and relaxed after the exercise. At the same time feelings of guilt and fear were reduced. Tea is both calming and can make you feel more alert. It improves cognitive performance in the short-term and may help fight Alzheimer’s in the long-term. Finally, it is linked to better mental health. I’ll raise a cup to that! I am reprinting this from last Easter. It still seems appropriate. I seem to have a case of Easter Spirit, or maybe it’s just Spring Fever. We actually had some sun and pleasant weather here in Chicago yesterday afternoon and it got to me. In any event, I am feeling really expansive this Easter Sunday morning and wish you the same. The idea of achieving and maintaining good health in this blog really is just an exercise (no pun intended) in restoring ourselves on a daily basis, isn’t it? We wake up in the morning and our body says to us, metaphorically, what have you done for me lately? It’s nice that you ate well and got some exercise yesterday, but this is a new day. So, get to it. 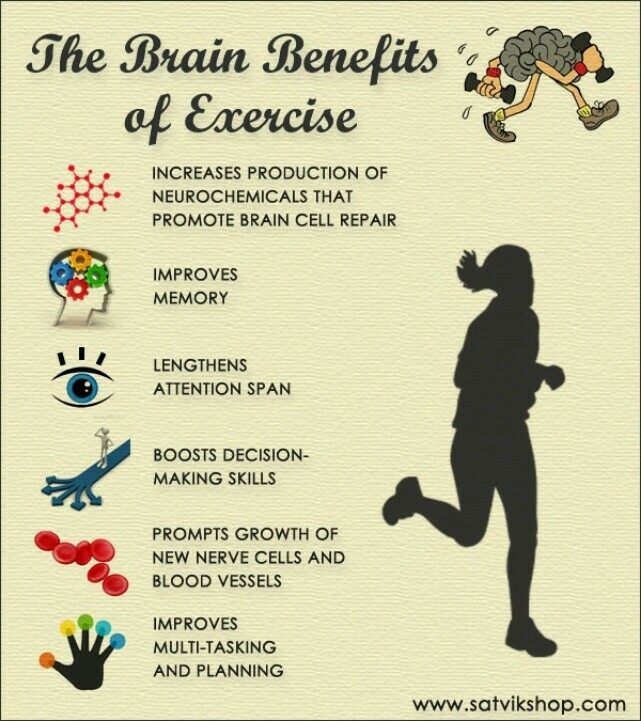 So, in the spirit of Easter and rebirth and good health I wanted to share these two infographics on the benefits of exercise to our brains. Too often we overlook these benefits which are so important to us today and even more so tomorrow, in our senior years. Regular readers know that my family history includes both Alzheimer’s and dementia. So, exercise is most relevant to me. When people ask me why I ride my bike every day, I always tell them that I am paying for my old age one bike ride at a time. Regular readers know that my family has had three cases of dementia, including one of Alzheimer’s Disease. So, I am very sensitive on the subject of mental health. I was very gratified to read the item from Harvard on the subject. “Alzheimer’s disease represents a personal health crisis, but it’s also a family concern. What does it mean for your children or siblings if you are diagnosed with Alzheimer’s? What does it mean for you if a close relative develops the condition? “Studies of family history say that if you have a close relative who has been diagnosed with Alzheimer’s disease—the most common form of dementia in older adults—your risk increases by about 30%. This is a relative risk increase, meaning a 30% hike in your existing risk. “If you are age 65, the risk of being diagnosed with Alzheimer’s is 2% per year, although this also means a 98% chance per year of not developing Alzheimer’s. In absolute numbers, a 2% annual risk means that two out of 100 65-year-olds will develop dementia every year. “Family history raises the 2% annual risk by about 30%, to 2.6% per year. That means going from 20 cases in a group of 1,000 to 26 in 1,000, or six additional cases in 1,000. “So the absolute increase is relatively small,” Dr. Marshall says. • Contact the Alzheimer’s Association. Find out about resources available to help you and your family. State and county agencies may also be able to help. • Plan for the future. This includes legally designating someone to make health care and financial decisions for the affected person when he or she can’t. • Investigate long-term care options. Nursing care is expensive, and finding a good place can take time. Start early. • Take care of physical health. People with dementia who live a healthy lifestyle tend to progress more slowly to the later stages. • Steer away from genetic testing. Even if you have the APOE Alzheimer’s risk gene, it usually doesn’t mean you will develop dementia later in life. Finally, to add to the Harvard recommendations, please check out my Page – Important Facts About Your Brain (and Exercise Benefits). I have a ton of positive reassuring information there. 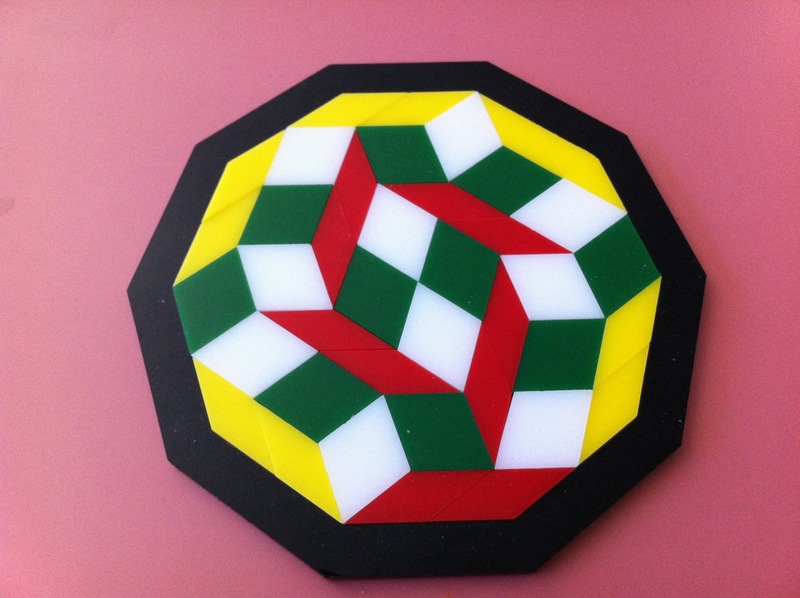 So far it seems to be working, I just turned 76 and my brain seems intact … if this blog is any evidence of that. Simple stuff here. You can make your life better today if you start integrating some of these into your daily doings. Sure, diet and exercise help. But so does opening up to a friend. You have the power to cultivate energy within your body in any moment. Even when you’re exhausted, burned out and feel like you’ve got nothing left to give, your body can guide you to a space of greater vitality, inner strength and wellbeing. 1. Rest when your body says rest. It’s important to follow your body’s cues on when you need to rest rather than pushing yourself beyond what you can handle and then crashing. If in doubt, rest. When you listen to your body and give yourself the rest you need, you’ll rebuild your energy over the long-term. 2. Cultivate stillness within you. To Reap the Brain Benefits of Physical Activity, Just Get Moving! “For a long time, it was believed that only aerobic exercise could improve executive functions. More recently, science has shown that strength-training also leads to positive results. Our new findings suggest that structured activities that aim to improve gross motor skills can also improve executive functions, which decline as we age. I would like seniors to remember that they have the power to improve their physical and cognitive health at any age and that they have many avenues to reach this goal,” concluded Dr. Nicolas Berryman, PhD. 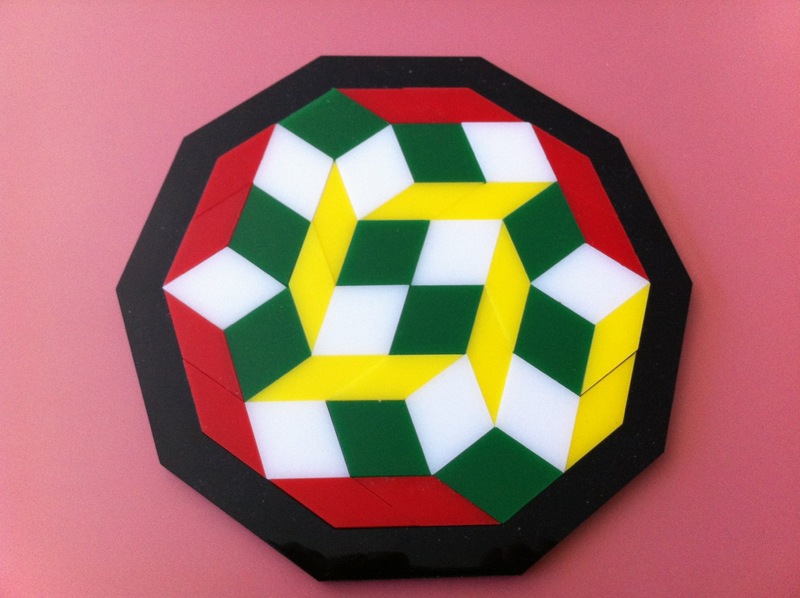 I love this updating of what I have been writing in this blog for several years. For a full discussion, check out my Page – Important Facts About Your Brain (and Exercise). Everyone knows that exercise makes you feel more mentally alert at any age. But do you need to follow a specific training program to improve your cognitive function? Science has shown that the important thing is to just get moving. It’s that simple. In fact, this was the finding of a study conducted at the Institut universitaire de gériatrie de Montréal (IUGM), an institution affiliated with Université de Montréal, by Dr. Nicolas Berryman, PhD, Exercise Physiologist, under the supervision of Dr. Louis Bherer, PhD, and Dr. Laurent Bosquet, PhD, that was published in the journal AGE (American Aging Association) in October. I have been a fan of Robin Williams since he exploded on the public consciousness with his antics as Mork, the alien from Ork in 1978. For more than three decades he never failed to bring me to outright laughter in his manic public appearances. His humor was so powerful that I often had tears running down my face and couldn’t catch my breath from laughing so violently. It is so tragically ironic that the battle with depression, of all things, cost him his life. I feel like I have lost a wonderful, funny, crazy friend. I posted on depression just over a year ago – How Bad is Depression?. You can read the entire item by clicking the link. One of the first things you need to know about depression is that it is a disorder of cognition not just mood, according to Robert D. Edger, M.D. speaking before Northwestern Memorial Hospital’s Healthy Transitions Program®. Depression is significantly more than feeling down or feeling sad. The Mayo Clinic said, “More than just a bout of the blues, depression isn’t a weakness, nor is it something that you can simply ‘snap out’ of. Depression is a chronic illness that usually requires long-term treatment. WebMD wrote today, “One of the most urgent signs, which calls for immediate action, is talking about death or suicide. Williams was only 63 years old, a young man by modern standards. Certainly, he could have counted on another decade or two if he hadn’t gotten derailed by the depression. If any good can come from this tragic loss, perhaps it will be to awaken us to the dangers of depression and raise our level of consciousness on the subject. Maybe someone, or someone’s family, will address the problem instead of taking the easy way out and ignoring it. 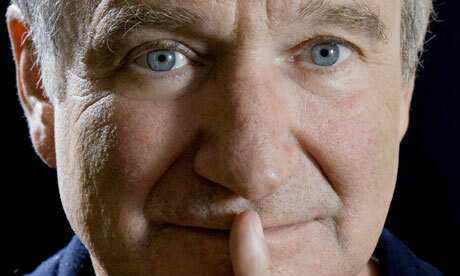 As funnyman Robin Williams has demonstrated, depression is no laughing matter.